An indigenous family, one of the last forest people of old, copes with the unusual changes in their ancient environment, pressure by the imposing lifestyle and customs of the tribes on the plains. “Dabdab” is when the hunter removes the innards of the boar and prepares it for cooking. Colorgading system courtesy of Thirtysix-O Industries. Left to right: Receiving awards from QCIFF and 66th IFFMH, at the 46th IFFR, nominees for the 40th Gawad Urian, details of the YCC trophy. The Matigsalug tribe poses for prosperity after watching their film at the 2016 Mindanao Film Festival. It was their first time to watch a movie in a theater. Datu Dagsil (Chief Dagsil) on a fallen log bridge over a tranguil river is carving his new hilt. The main crew meticulously working on the last scene of the film. 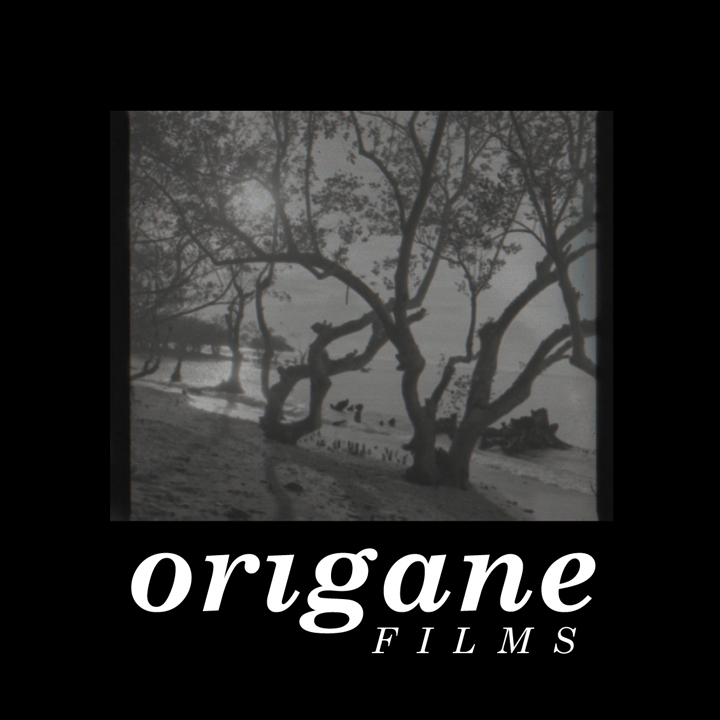 In 2016, I worked on an experimental documentary film. It was during the early phase of its production that the conception of “Baboy Halas” was developed. On our first day of shooting in Pikit, north of Cotabato province, somewhere in the southern part of the Philippines, I was fortunate to have listened to a wonderful fable told by a former rebel commander. He seemed to have mastered the art of telling the stories of his Moro ancestors, passed on through a lyrical poem sang in their native tongue to each generation before it was written in Arabic in the 50’s. The first part of the fable really lingered in my mind. It is the story of the origin of their clan; how their first father was impassioned to wake up every night just to be mesmerised by the beauty of a forest nymph, which only his eyes can see. To others, the nymph appears as a mere animal. Eventually, the story flourished beyond what I could imagine and settles in my heart, until “Wailings in the Forest” was written, inspired by that wonderful fable. 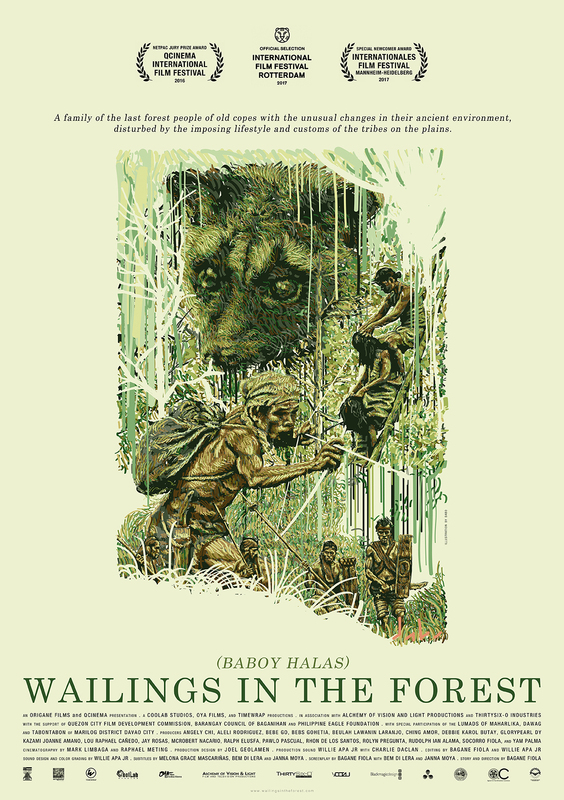 The film “Wailings in the Forest” somehow became a different story from the fable, but I feel that it represents a wider Mindanawon culture, because boar hunting, as the essence of the film, is a common practice of the ancient tribes in Mindanao, like the lumad (the indigenous people), such as that of the Matigsalug tribe. I am proud that, in a sense, “Wailings in the Forest” represents the Mindanawon cinema during its premiere in October 2016 at the 4th QCinema International Film Festival in Manila, Philippines. I am also proud that we were able to present the film at the prestigious 46th International Film Festival Rotterdam in Netherlands, a year later and after it’s local festival screenings in Mindanao. Months passed by and another festival abroad invited the film – the Internationales Film Festival Mannheim-Heidelberg – one of the oldest film festivals in the world and the second oldest in Germany, and this time, it’s to compete among 44 films from many different countries. Surprisingly, after 7 days in Deutschland and 10 days in Switzerland, between the seasons of autumn and winter in the year 2017, the film about one of the last forests in Mindanao, returned home with a prize. I commend the filmmakers as well as the Matigsalug cast who, for 17 days, over 400 hours, roamed and braved the rainforests of Mindanao to tender beautiful and wild stories that nature has provided. With the blessings of Manama (the gods) and the guidance of the tribe’s people, “Wailings in the Forest” lives on as we share it to the world… and it will always long to return to its beginnings to become a relic of the beautiful and peace loving indigenous people, the lumad of sitio Maharlika barangay Baganihan and sitio Tabontabon barangay Dawag of Marilog district, Davao City. I thank all who helped us in the making of “Wailings in the Forest”; the Quezon City Film Development Commission, Barangay Council of Baganihan, the Philippine Eagle Foundation, and the lumad (indigenous people) who have a very special participation in the film. I thank my family and friends for the constant support and to all the passionate, creative and ever struggling Davao film community and the local independent film productions, daghang salamat! And most importantly, I thank my Nanay who has always been my inspiration since day 1. A tranquil conversation with the hunter Mampog and his dog Bugtong, Datu Dagsil, and Datu Arais. The first screening at Mannheim, Germany, was a bit extraordinary because of these little red lamps inside the cinema. Matigsalug women always start their day with a brew. At first glance, one might describe this visually remarkable film essay about one of the last indigenous peoples in the southern Philippine Marilog jungle, as an ethnographic film. Matigsalug women bonding over hair lice picking. Bagane Fiola is a Filipino filmmaker from Mindanao, the southern part of the Philippines. Wailings in the Forest is his first directorial feature film that is officially selected in an international film festival outside the country. Raised in Davao City Philippines, Debbie lived in Roskilde, Abu Dhabi and is now based in London. As an Erasmus Mundus CoMundus scholar in media, communications and cultural studies, Debbie’s research discussed the construct of the other Mindanawon in the production of a narrative as a form of single collective memory. Her interests include discourses on visual representations of nature, environment and cinematic spaces. Debbie’s work include producing Origane Film’s “Sonata Maria” (2014) and “Wailing in the Forest” (2016).